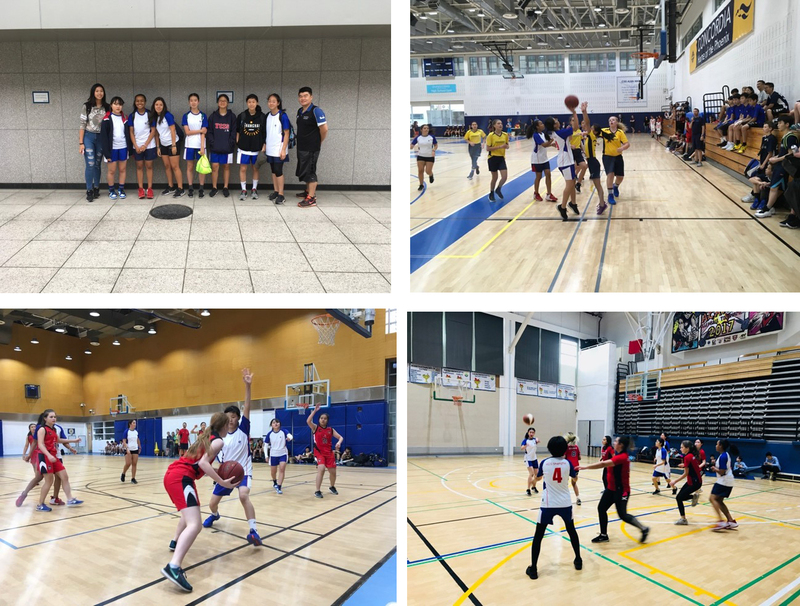 To celebrate the 85th Anniversary of the partnership between Yew Chung International School and Yew Wah International Education School, we hosted a senior basketball game between the schools girls and boys teams. Both schools had the opportunity to field some new and upcoming players and it was exciting to see some of the potential new players for next season. A fairly large number of students came to watch the two games and this created a fantastic atmosphere in the new gym. The girls game started at a frantic pace with both teams working hard to try to retrieve the ball from the opposition. 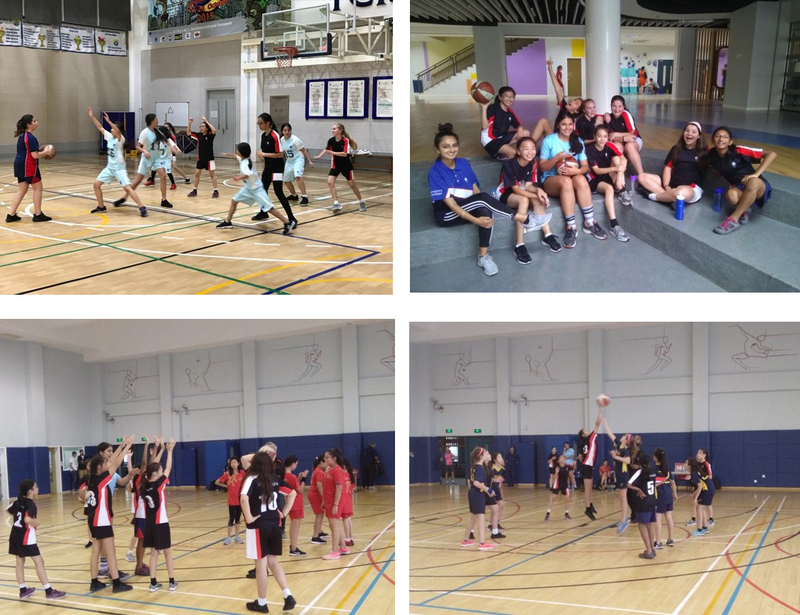 Points went on the board early for both teams as Ms. Fung (The Yew Chung Girls D1 Basketball Coach) rotated the team to ensure everyone had some experience of top/high level basketball. 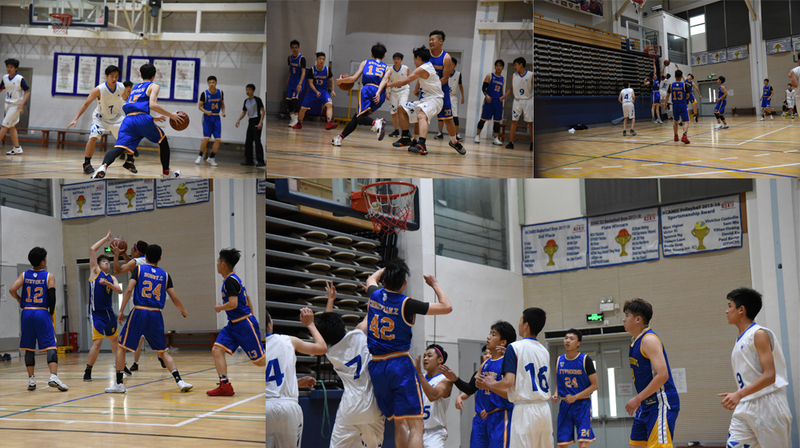 It was quite impressive to see Yew Chung so composed with the ball with many of the young lower secondary players having no experience of full court basketball before. There were some stand out performances including Kaye Wong from Year 8 who’s composure was excellent with far older girls in the oppositions team. Rebecca Jones and Marcela Fioranelli were incredibly hard working from start to finish, finding space in attack and getting back quickly in defence. There were also some strong performances from our Year 10 girls including Joyce Wing, Kerry Tseng, Anson Lee and Annie Ting. However, there was a clear stand out player in Vivian Chen who’s all-round performance was outstanding. Vivian stole the ball regularly in defence and created opportunities in attack with superb passing and movement. Vivian ended the game with 15 points on her own in a hugely impressive game for a Year 9 student. We look forward to seeing her on the basketball court much more next year. 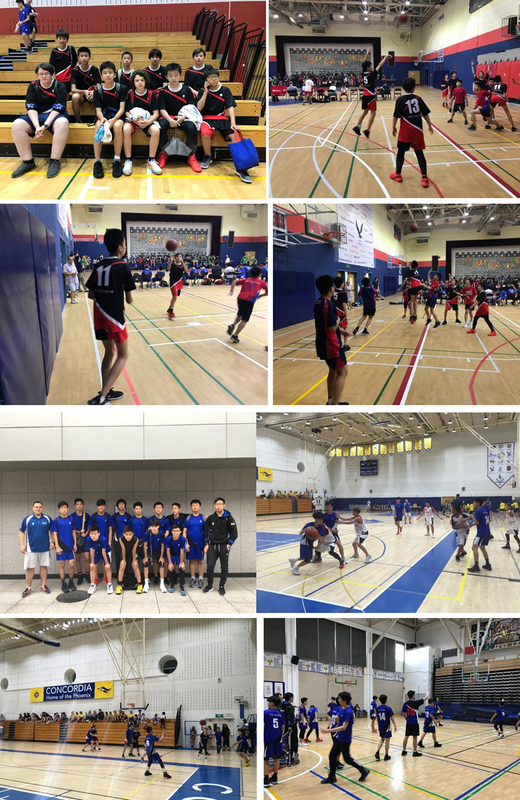 The boys game also included some much younger students representing Yew Chung including Frank Wu in Year 8, Julien Ripoll in Year 9 and many Year 10’s who have experience of D2 SISAC Basketball this year. Yew Wah had a much larger and older team but this didn’t intimidate any of our players at all as we started strong and took the game to Yew Wah. Bryan Xu, Yang Yang Ko and particularly Edouard Li were very comfortable in the game and all got on the scoreboard with some excellent attacking play. Yew Wah had two much more experienced 19 year olds who were brought on in the second quarter and the level and intensity of the game lifted significantly. Mr. Davis (The Yew Chung Boys D1 Coach) also made some changes, bringing on the Boys D1 Basketball MVP winner Vince Yonesu and also our talented Table Tennis ACAMIS Champion Kevin Tsao (Who is also an excellent basketball player). Kevin and Vince were able to control the game and after Yew Chung picked up a significant lead, we started to slow the game down and in the end we won by six points. Both teams should be pleased with their performances, particularly in attack with some superb shooting and attacking moves pleased the crowd. YCIS Gubei Campus Humanities Department celebrated the 85th Anniversary year by focusing on global citizenship and showing interest in social and environmental issues. 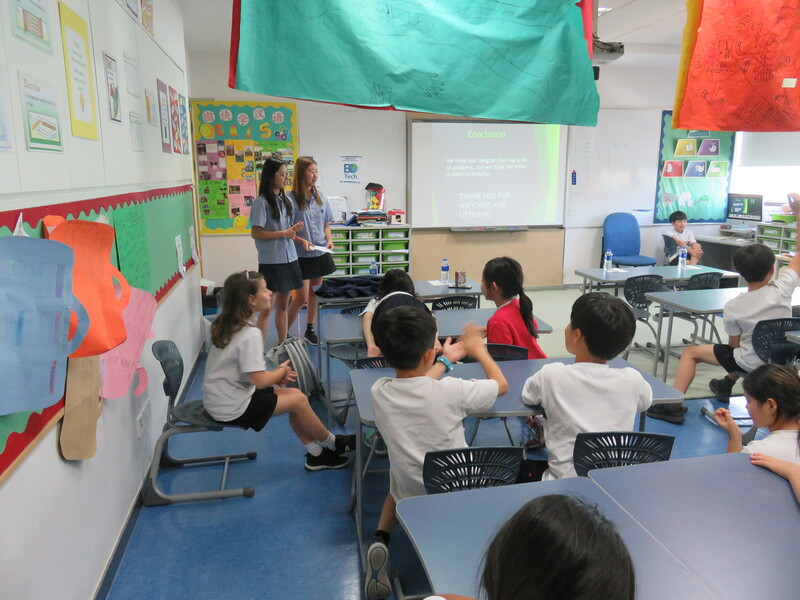 Our IB Geography students raised school-wide awareness of environmental issues for Earth Day 22nd April. This year’s focus was on plastic pollution so students created powerpoints that were played in the cafeteria and around the school during the week. The topic was also a focus for seminars in Year 9 and 10 Community lesson during the week. 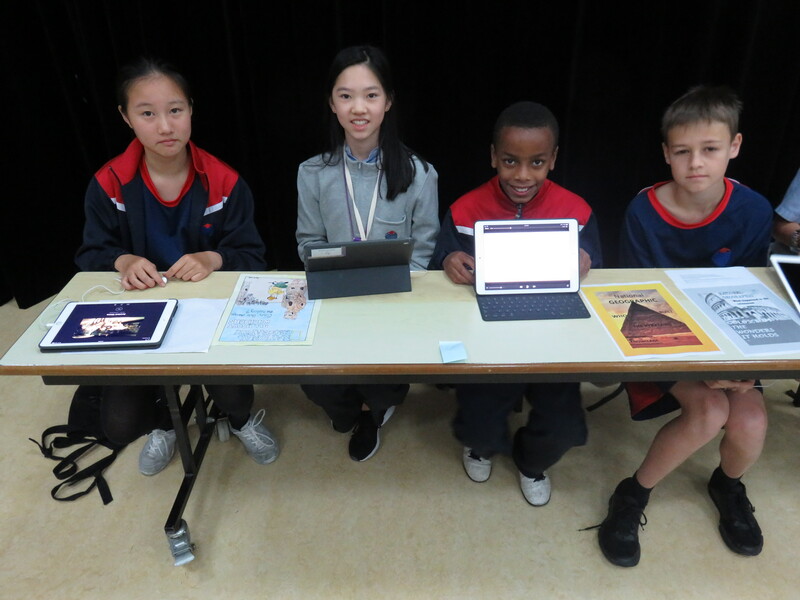 Year 9 Global Studies students celebrated March 8th International Women’s Day with posters and presentations on influential women that have been displayed in the Humanities corridors. 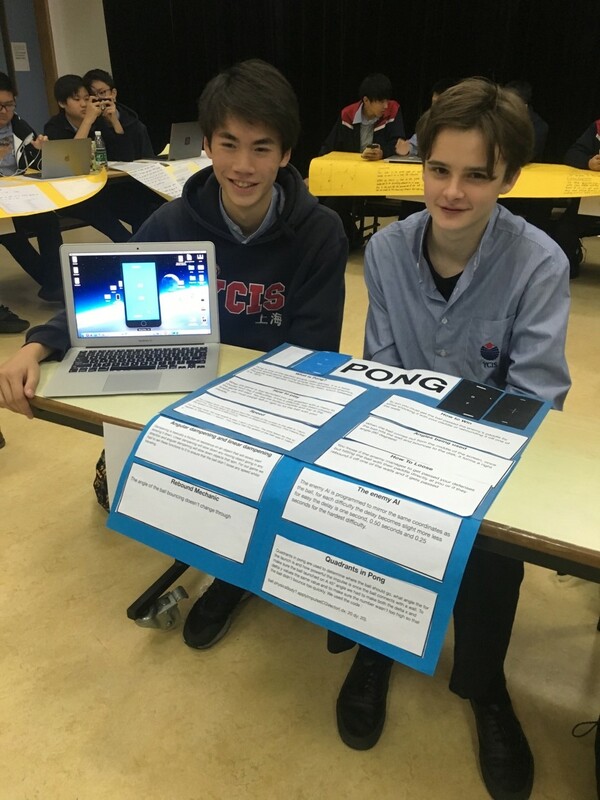 Year 11 Global Perspectives gave presentations to all of Year 11 and Year 10 with movies powerpoints and posters about their chosen topics for their collaborative project to raise awareness on an issue of importance. Embedded into their project was an investigation to show different cultural understandings on the topic. Some of the topics the students chose this year included refugees, corruption in sport, teen health, water shortages, slum housing, to name a few. 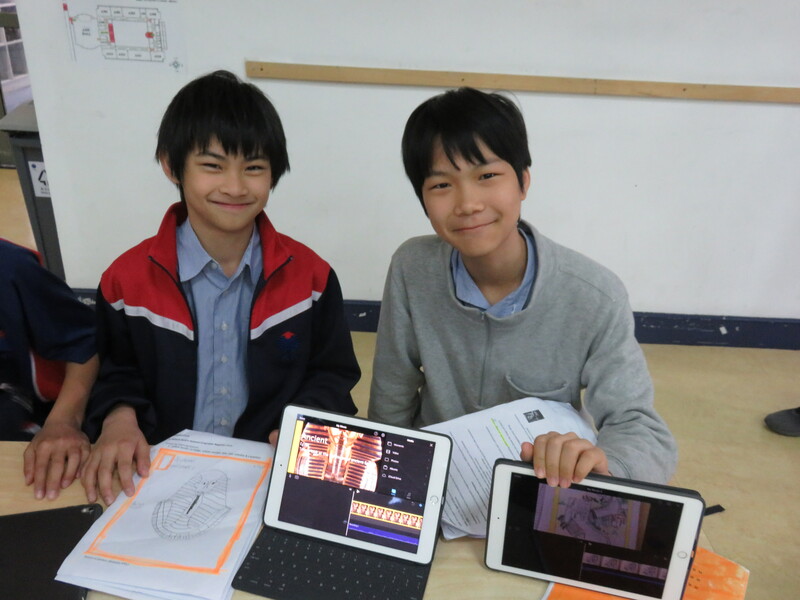 In our commitment to technology, Year 7 students showcased their inquiry on a chosen ancient civilisation topic by using their ipads to create a National Geographic style cover page and record a commentary on the significance of the features chosen to represent their civilisation. These were shared in the Hall with a display set up of all Year 7 designs. 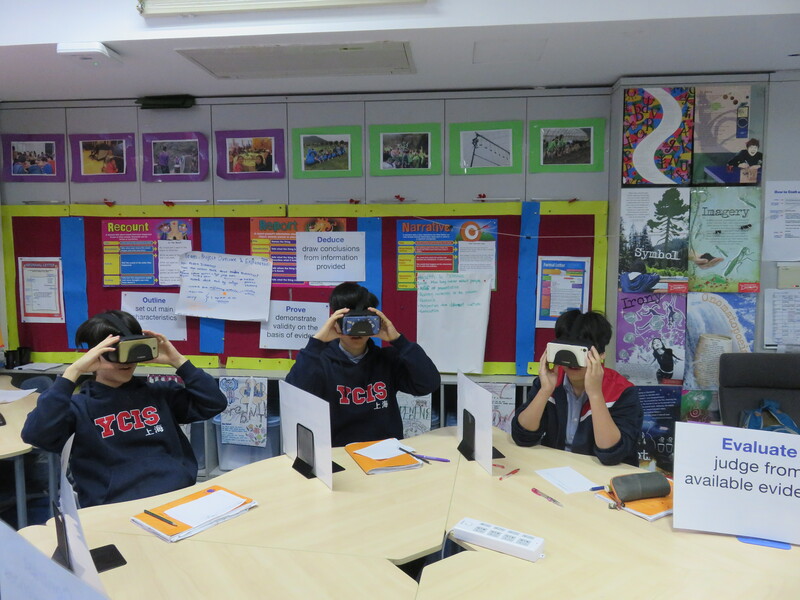 The use of technology has helped student understanding in Year 10 and 11 Global Perspectives to gain multiple visual perspectives as they took virtual reality tours of different places. 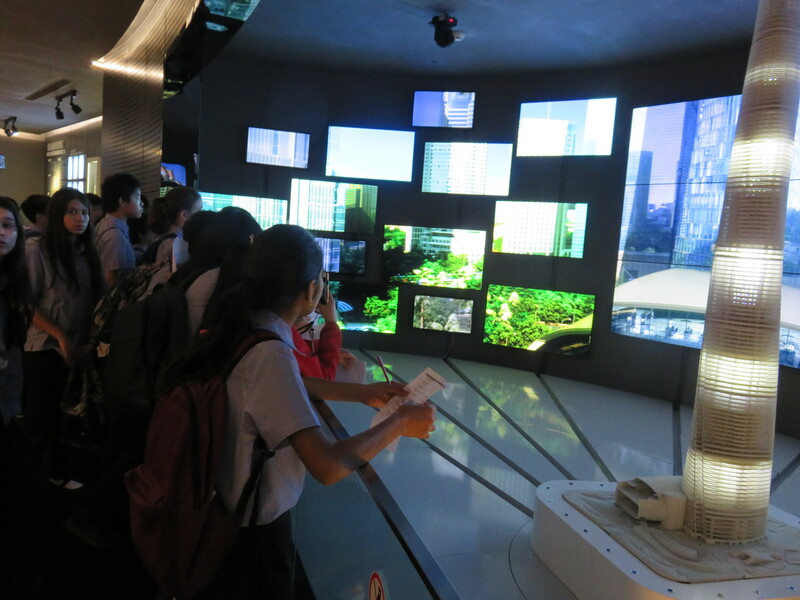 They were able to look at 360 surround views of the impacts of issues such as global warming and coral bleaching in Australia’s Great Barrier Reef. 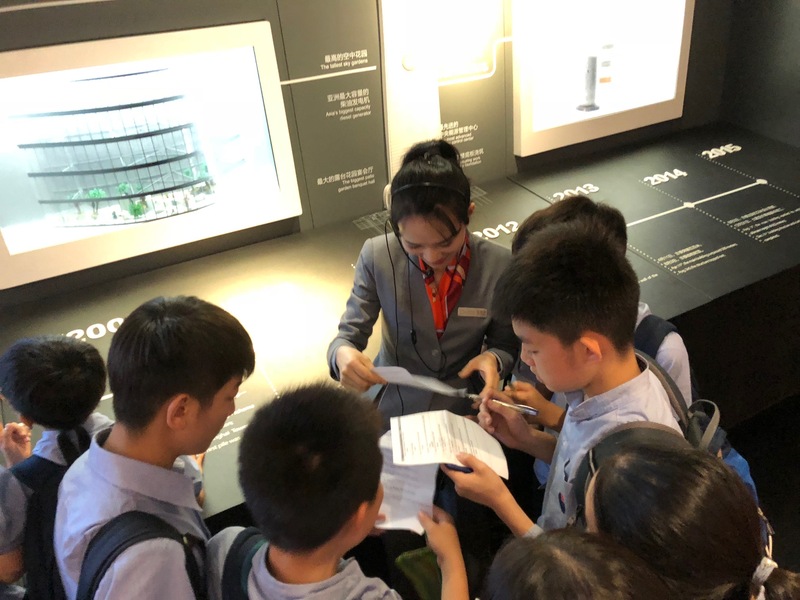 In the settlement topic on sustainable cities, the Year 7 cohort visited the Shanghai Tower going up to the 119th floor looking at the features of the building that is globally acclaimed as being the greenest high rise building in the world. The guides explained to our students the unique features of the world’s ‘second highest’ building (by height to the architectural top). 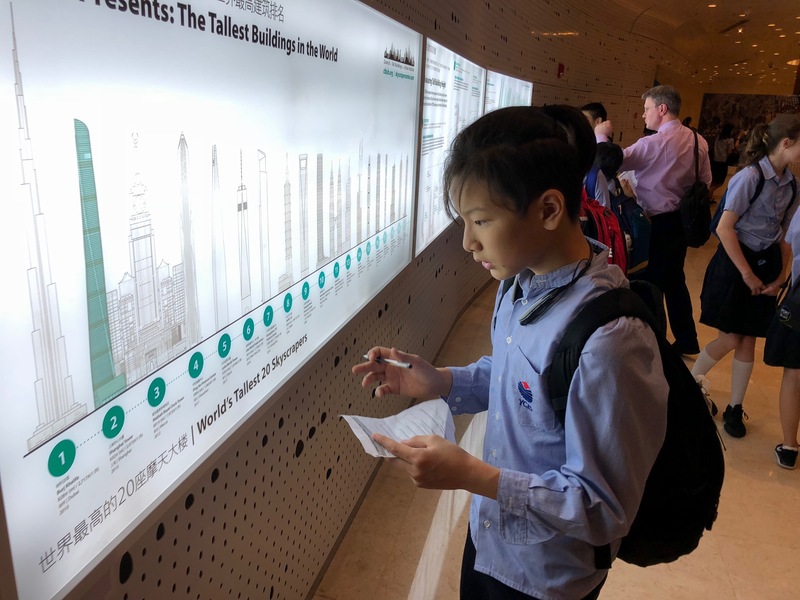 Our students collected some information that supplemented their work in class on how we can overcome some of the urban challenges to sustainably using resources. 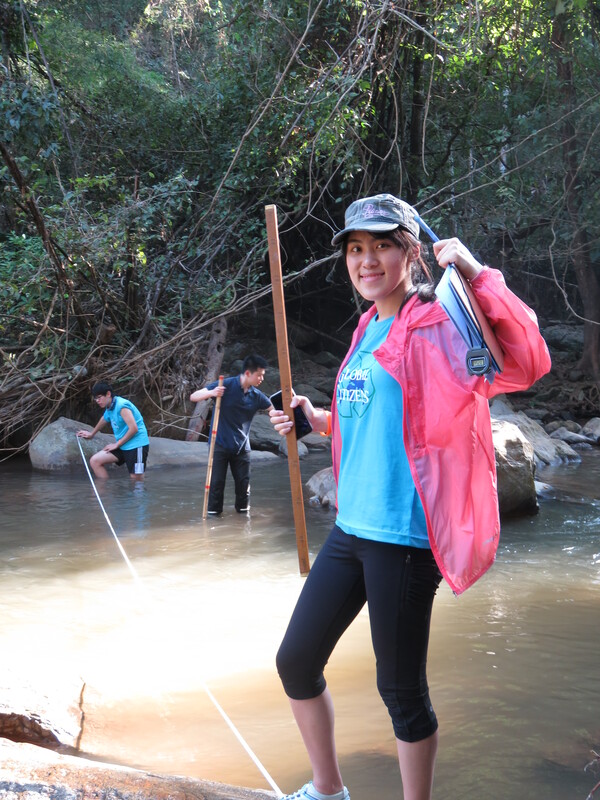 In celebrating authentic experiences outside of the classroom, The IB geographers prepared for and undertook a two-day river study during their Thailand trip. This allowed for the development of field techniques in collecting data and for the application and analysis of primary material culminating in a written report. 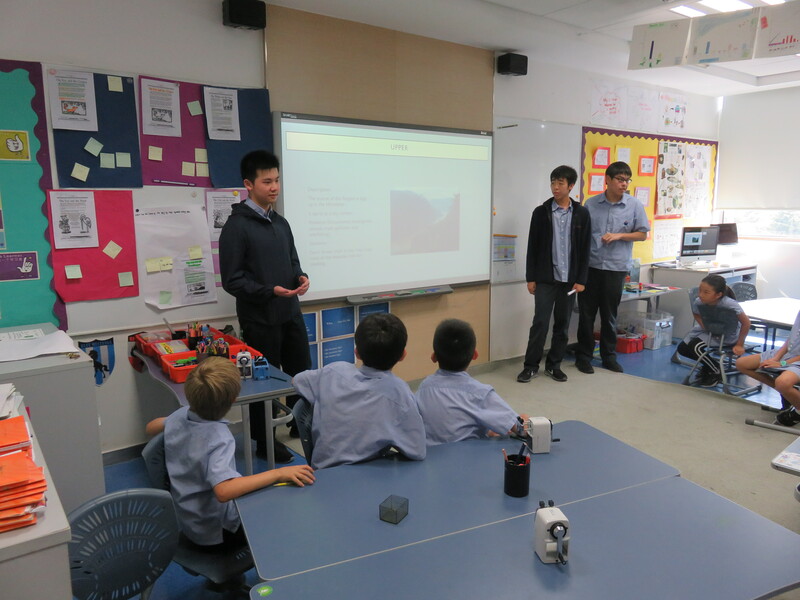 As river experts, along with Year 10 geographers, they visited Year 5 students at Hongqiao campus to hear and comment on the proposals the Year 5s had presented regarding river quality improvements on the Yangtze. YCIS Gubei Campus Mathematics Department celebrated the 85th Anniversary in the spirit of the student learning focus for Reinvention: The Future Beckons. In their annual Pi Day on March 14th (3.14) throughout the Lower Secondary classes students were committed to numerous tasks and projects related to the symbolic meaning of π. Some students made bracelets with distinct coloured beads to represent each of the 10 digits of pi and to highlight that no pattern can be seen visually with the colourful array displayed on the bracelets. Others participated in a scavenger hunt where they digitally searched for information related to the number pi, π, such as finding the names of Chinese cities, which have something to do with a circular object, and famous people with birthdays on March 14th. Significantly, in the context of the 85th Anniversary Teachers’ Conference Technology Keynote presenter Professor Nathan Holbert, the GB Campus Year 10 students held their annual Math Fair with a twist; students produced their own Smart phones apps, investigating the mathematics used for developing the functionality of the apps, and making sure they work correctly to achieve a win or score points. 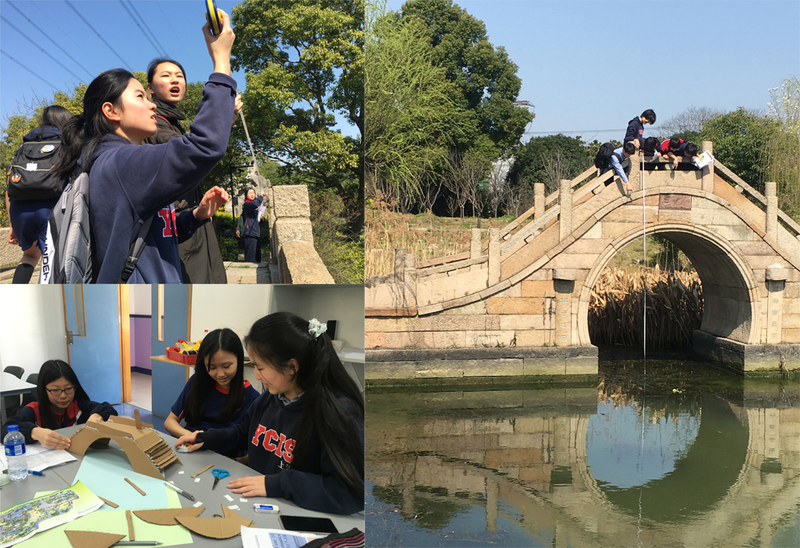 In the context of their YCIS commitment to cultural interchange, exploration and investigation, the Year 10 classes also visited the Shanghai Han Xiang Water Expo Garden (上海韩湘水博园) where they examined the architecture of the Chinese bridges featured in the park. 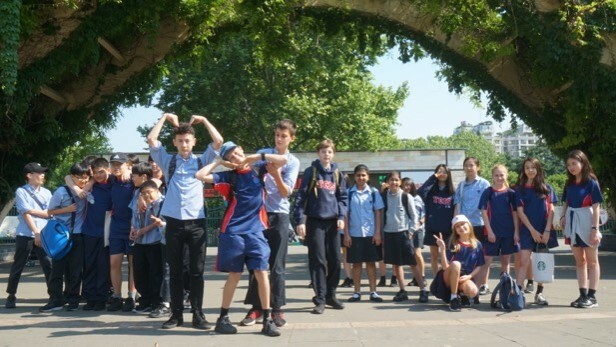 Students studied quadratic equations as preparation for the excursion, as throughout these gardens are many different and interesting architectural designs that lend themselves to modelling the use of mathematical equations. A Tracker programme was used to plot the arches in the bridges and make measurements, which they later used to determine the equations engineers might use in building bridges. Some Year 7 students have been investigating and exploring their mathematics skills and understandings in examining how animations are made by looking at how midpoints on a coordinate plane help to smooth surfaces and different transformations move the objects left and right, up and down, and forwards and backwards. 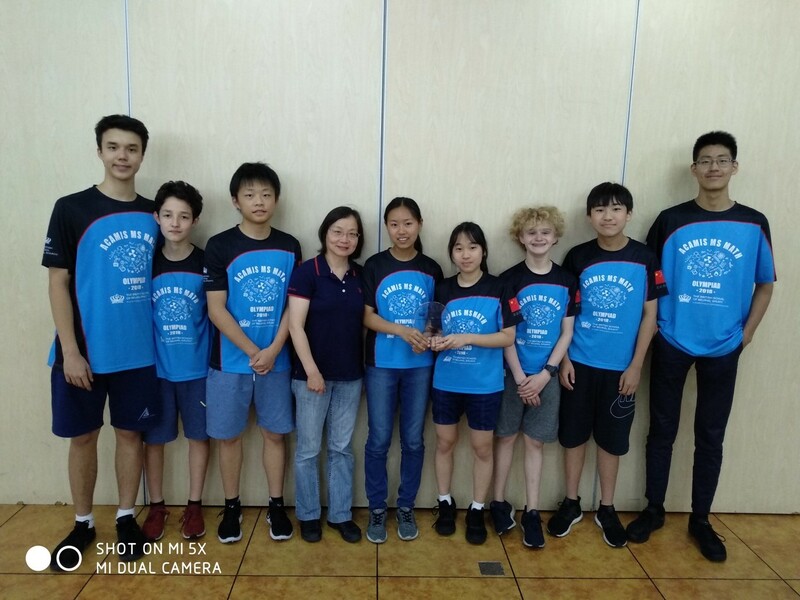 More recently, two Gubei teams of Year 9 students headed to Beijing to represent the school in the British School of Beijing, Shunyi Math Olympiad where they placed an impressive 2nd place amidst 25 participating schools from around China. Also in March, YCIS Shanghai Gubei Campus also earned a rating of first place within the international and USA schools that participate in the American Scholastic Mathematics Association Contests. Earlier this year, Mr. Steve Hackman and I did a presentation at each YCIS Campus in Shanghai about Seeds of Hope, which included an introduction about Mr. Hackman walking the 2000 Km “Via Francigena” pilgrimage departing from the Canterbury Cathedral (in England) on 1st June, all the way to the Vatican in Rome (in Italy) which he is aiming to reach by Aug 10. There will be five of us joining Mr. Hackman at the launch in Canterbury and for the first few days of the walk. I personally will also be walking into France with him for a further 5 days. This adventure is to raise awareness for Seeds of Hope as well as solicit donations for our “Common Project” with Kids International Ministries in the Philippines. 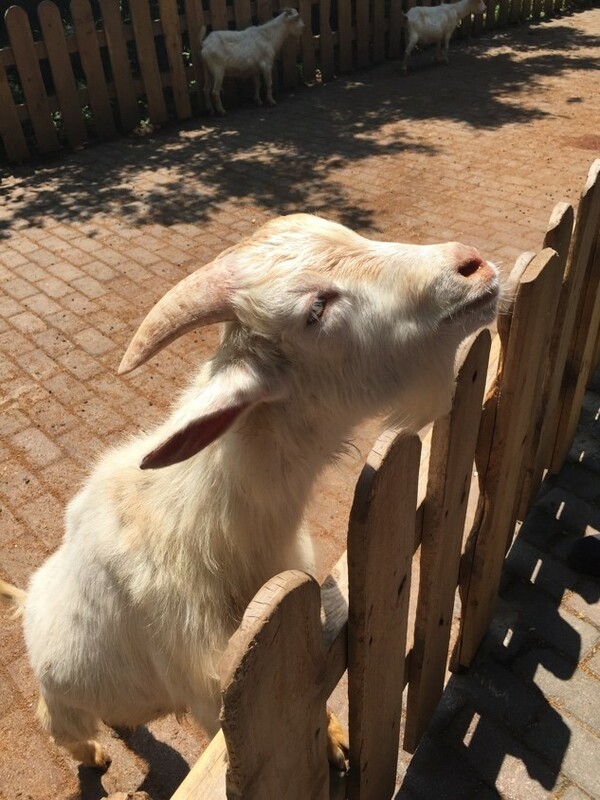 On Thursday May 3rd 2018, CAL1 & CAL2 Chinese classes went on a field trip to the Shanghai Zoo. The trip was very pleasurable because it was a weekday and not a lot of people were present then. As a result of this, seeing the animals was a nice and effortless experience. 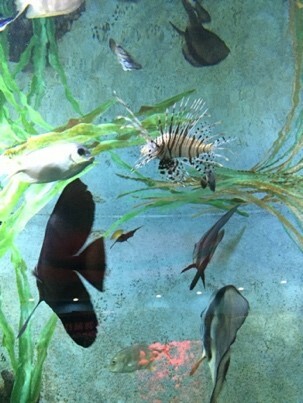 First, we visited the marine life enclosure. It was very interesting to see the turtles patterns on its head and along the back of its shell. There was also a lot of different kinds of marine animals such as cat fish, lion fish, angelfish, a variety of different small sharks, and gold fish. 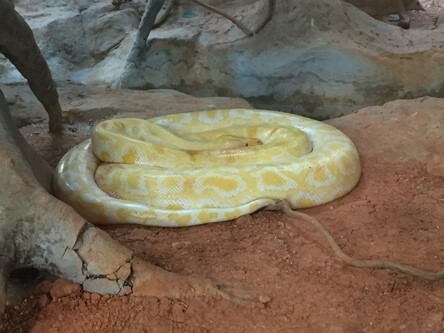 Secondly, we went to the reptile enclosure. 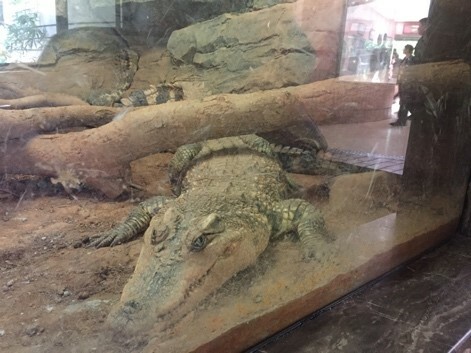 We were able to see the different types of snakes and crocodiles from different perspectives and get a close look at them. 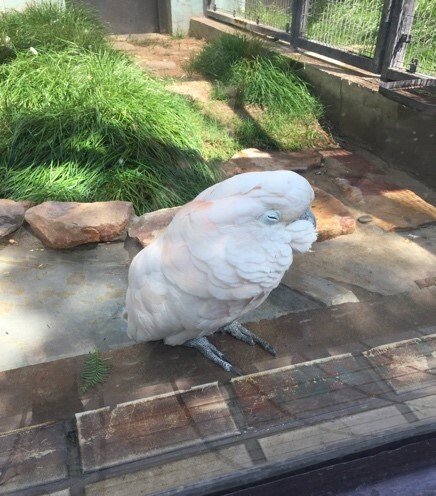 Next, we went to see the different types of birds at the zoo. 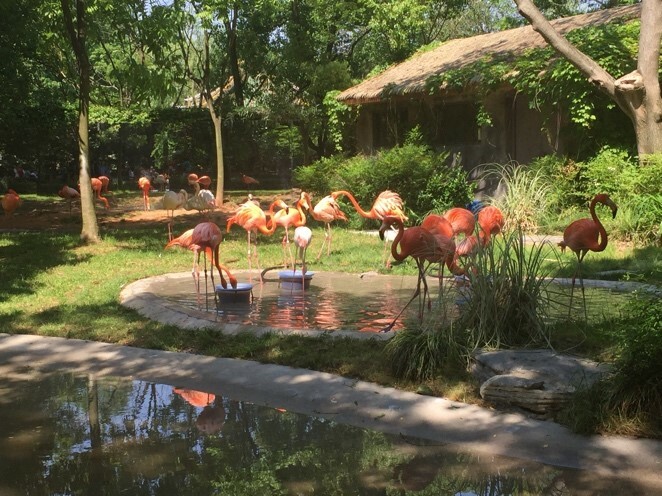 Some of these birds were parrots, macaws, flamingoes, and many other beautiful birds. During this, we were able to look across a big lake filled with ducks and other birds that were interesting and cool to look at. 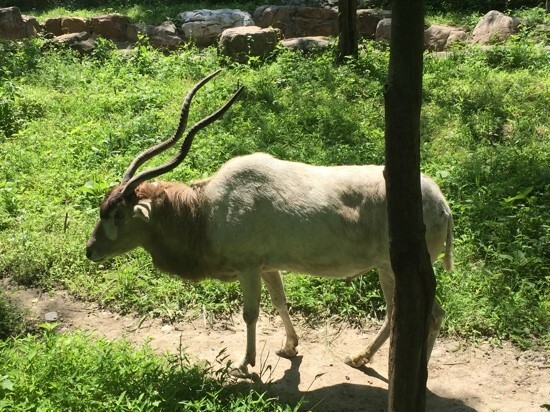 Then, we went to see the African Savana animals. We were able to see beautiful elephants, zebras, giraffes, wild horses, and many others. 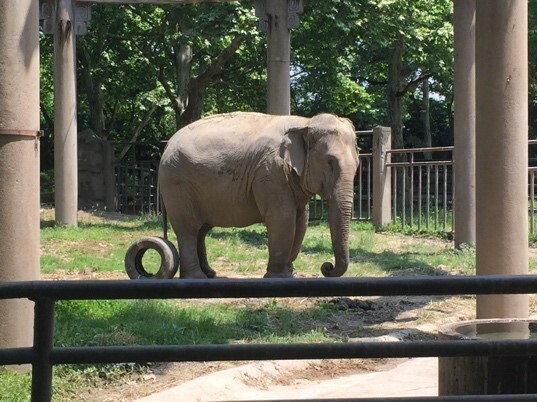 One of my favorites was gazing upon the cute elephant we thought was very cool to see. The end of the year is approaching quickly, and all textbooks will need to be returned or renewed before the summer begins. On June 8th, all students will receive an email listing all books that are checked out in their name indicating the current due date and status. This is intended to assist students identify what needs to be returned. All textbooks must be returned by June 15th at the latest. Students may return textbooks to the library as soon as they are finished with the exam for that subject. The same textbooks will be used during Y11 and Y13, so Y10 and Y12 students have the option to return their textbooks or keep them over the summer. If opting to keep them over the summer, they must renew their books. This can be done online by logging into the library catalog from May 16-June 16. Instructions will be provided. All textbooks must be either returned or renewed by June 15th in order to receive end of year grade reports. All textbooks must be returned to the library by June 15th. All textbooks must be returned in order to receive end of year grade reports. All returning students are encouraged to borrow library books for reading over the summer break. This should be done in late June. Let the library staff know that it is for summer reading and the due date will be in August. 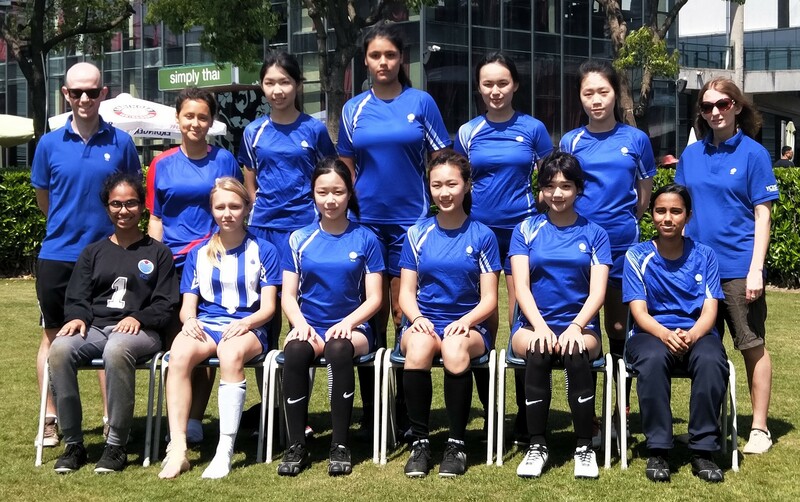 The girls’ football season came to an end last month with the ACAMIS tournament played at Dulwich College in Pudong. 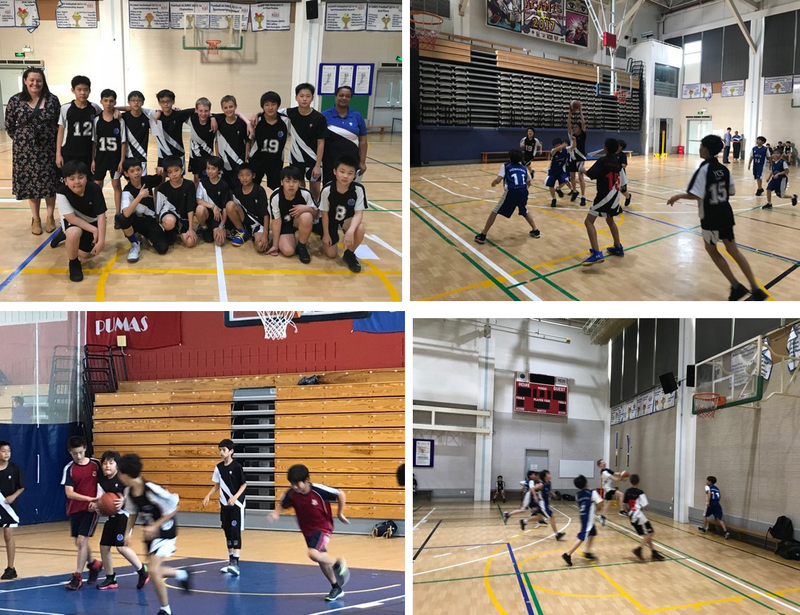 Like all ACAMIS core sports, the tournament starts with six teams playing each other in a round robin tournament before playoff matches on the third day. 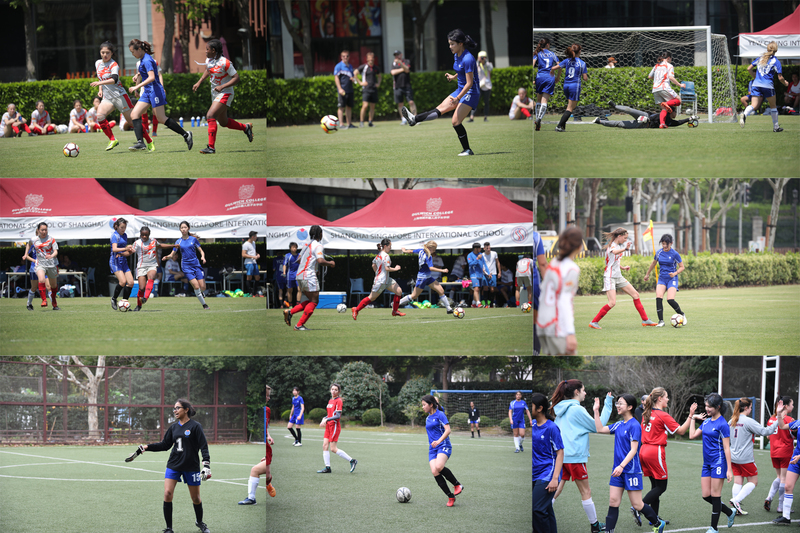 For many of the YCIS squad it was their first football ACAMIS tournament and this showed in their first game against a very experienced Dulwich Shanghai team. The girls, encouraged by periods of good play, remained positive and took confidence into their next game against Suzhou. Unfortunately, the girls suffered another defeat, however stand out performances from rookie goalkeeper, Rhea Menon, and defenders Ashly Yang Parodi and Qian-Rou (Sheryl) Huang gave the girls heart for the following days’ action. On the Friday, in blistering thirty-degree heat, the girls’ played three matches. 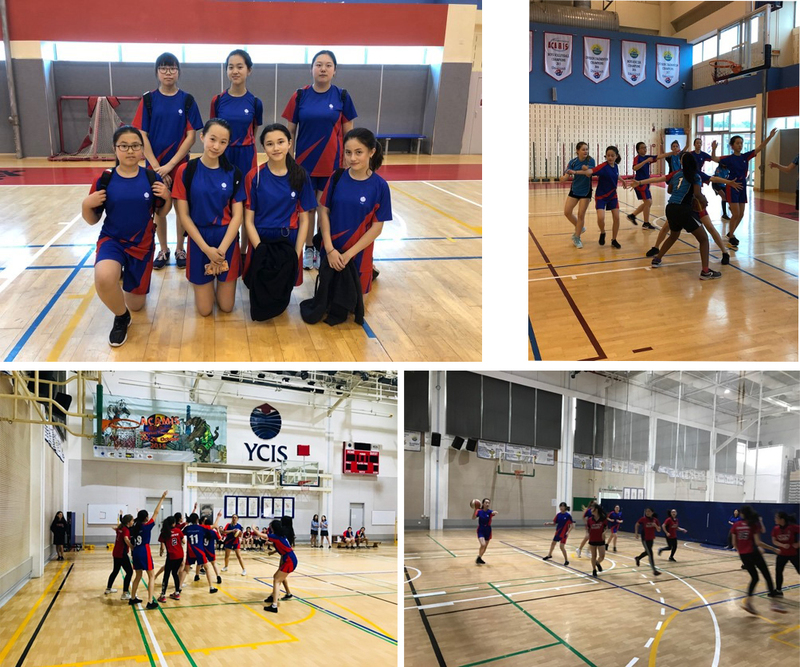 The first, against Australian International School, Hong Kong, was a close match with YCIS creating scoring opportunities due to good play by attackers Chi I Joyce Wing, Ho Yiu (Anson) Lee and Hafsa Siddiqui. The score didn’t finish in the girls’ favour who eventually lost to the tournament winners. Our next game saw the girls’ best performance of the tournament, a narrow defeat to Tianjin International School (TIS). After losing two early goals, the girls’ battled hard and, despite suffering the loss of maverick captain Yulia Kirina to injury, were unlucky not to come back into the game. Excellent defending to keep a clean sheet in the second half allowed the team to build attacks, however a fantastic performance from the TIS goalkeeper kept YCIS out. The third game was against another very experienced team, Dulwich Beijing, and despite the best efforts of On Ni (Annie) Ting and Verlaine Bergeret, the girls succumbed to the extreme heat. On the Saturday, the girls returned to play their playoff match, once again, against TIS. Despite playing their sixth match in three days, the girls put in a brave performance and were unlucky not to better their previous results. During the tournament their hard work throughout the season showed, as the girls played their best matches so far as a squad. All players improved hugely as the season progressed in particular footballing first timers Mei Hei (Audrey) Tsui and Julia Fung. A special mention goes to our goalkeeper, Rhea Menon, whose fearless performance earned her the award of Most Valuable Player. Led by their captain Yulia Kirina, the girls ‘never give up’ spirit earned the praise of opposition players and coaches. Their perseverance against teams more experienced and older than themselves helped win them the Sportsmanship Award at the end the tournament. Well done to all girls who played throughout the season, it was a pleasure to coach you, and we look forward to seeing you next year! Back row; Mr. Hastings, Ashly Yang Parodi, Qian-Rou (Sheryl) Huang, Verlaine Bergeret, Mei Hei (Audrey) Tsui, Julia Fung, Miss. Vincent. 1. Set up a study time table and write down your goals. The body produces fight and flight enzymes that increase anxiety when under stressful situations. The mind is further limited when it does not receive a good night of sleep. As a result, both the body enzymes and a restless mind prevent the calm attitude, the logical rationalization and the analytical assessment skills that are crucial during an examination. Furthermore, the brain can only store a finite amount of material each time we study. In order to allow the brain to absorb the most amounts of information and being able to recall previously studied information during an exam, contents and information must be broken down into manageable segments. Setting achievable goals so you don’t frustrate yourself and write these goals down. Make a plan to cover all the contents 1 or 2 days before the exams so that you have enough time reviewing the materials and doing practice exams. 2. Ask for advice from your teachers. The study methods may vary depending on the subject matter. Reading through a hundred pages of the text book is the most ineffective way of studying and can be a waste of time. Your teacher knows the format of the exam and the essential content you need to know for that subject. Make sure that you follow your teachers’ advice when you study. 3. Know your weakest links. Let’s face it; no one is competent in mastering every topic in all subjects. In most cases, little of the content knowledge may remain after a while, it will be wise to make every effort to revisit and study or set extra time in your everyday goals to relearn it again. If it’s a mathematic topic that you can’t comprehend, make sure that you sort it out with your teacher or classmates before you begin test revision. If there is a part of history content that you don’t remember at all, the easy solution is to set extra time now to read it over and understand it through notes, books and video clips. 4. Study with concentration. Without a doubt, many people can stay focused sitting in front of the computer or television for many hours. However, staying focused during reading and studying is more challenging. The problem is we all have a limited attention span and it varies with each individual. Therefore, the most effective way to maximize our attention span is by doing all sorts of studying activities. Trying to change subject matter every 30 minutes or changing the approach of studying the same subject matters to sustain our attention. For example, you can study science terms for 15 minutes and then change the approach by writing down all the terms from memory for about 5 minutes. Arrange a reasonable break time that will not distract you in between long periods of studying. 5.It’s all about practice. You can make learning more interesting by testing yourself in various ways through verbal practice, writing summaries and making study notes. You can’t apply learned knowledge without any practices. If answering analytical essay questions are hard for you, try to practice through writing framework and working on your topic sentences. 6. Motivate yourself by setting limitations. Create a limited and inaccessible environment that prevents any disruptions when you study. Don’t surround yourself with any accessible entertainment and comfort. Any privileges such as taking a break, drinking a soda, making a phone call and listening to music can be a motivator and a reward only after a long period of concentrated study time. 7. Eat, rest and exercise. Your ability to concentrate depends heavily on your physical well being. Eating light and healthy is the golden rule for everyone. Research has shown that having the right nutrition, quality rest, and regular exercise can boost your brain power. All textbooks must be returned by May 25th. Students may return textbooks to the library as soon as they are finished with the exam for that subject. The same textbooks will be used during Y11 and Y13, so Y10 and Y12 students have the option to return their textbooks or keep them over the summer. If opting to keep them over the summer, they must renew their books. This can be done online by logging into the library catalog from May 16-June 16. Instructions will be provided. On June 8th, students will receive an email listing all books that are checked out in their name indicating the current due date and status. All textbooks must be either returned or renewed by June 15th in order to receive end of year grade reports. All textbooks must be returned to the library by June 15th. Students will receive an email on June 8th listing all the books that are checked out in their name to assist them in making sure all books are returned. All textbooks must be returned in order to receive end of year grade reports.